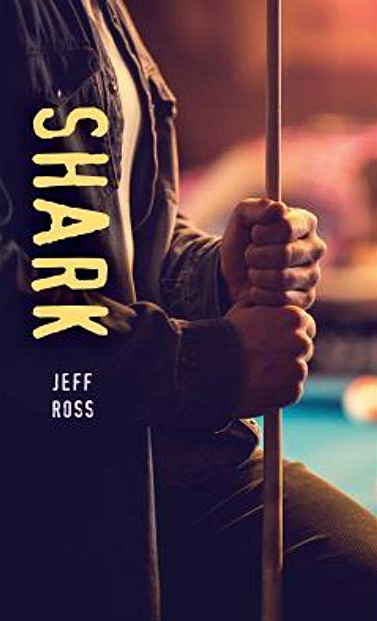 "One thing author Jeff Ross communicates very well is the sinister creepiness of the man who spots Mark's talent at the local pool hall…Communicating that depth of sinister unease in a short book with limited vocabulary is impressive. Also impressive is Ross' knowledge of billiards and its culture and how he manages to incorporate it into this truly engaging story. It makes for a very rewarding read." "Shark is a page turner and will keep readers engaged and curious. Highly Recommended." Seventeen-year-old Mark "Shark" Hewitt is good at playing pool. Really good. When he, his mom and sister move to a new town, Mark immediately seeks out the local pool hall. He loves to play, but even more than that, he just loves hanging out with the regulars. It reminds him of good times with his dad, who is no longer in the picture. When one of the patrons notices Mark's natural gift for the game, he forces Mark to use his talent for profit. Now Mark has to find a way to get out from under this sleazeball's thumb and protect his family.